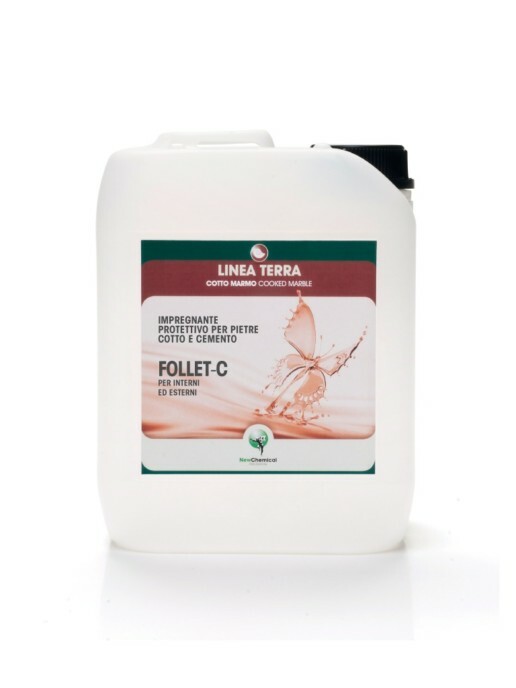 FOLLET-C is an alcohol-water emulsion of silanes and fluorinated copolymers with hydro-oil repellent properties, capable of decreasing surface tension and creating a pleasant slightly toned effect. 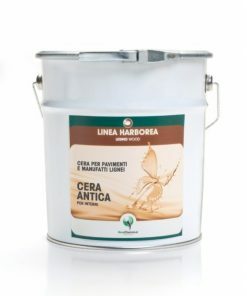 The particular features of the product make it extremely versatile in providing anti-efflorescence action together with stain and mould protection. IMPORTANT: for regular cleaning, do not use alcohols, or acid, solvent or ammonia based-detergents. Water-based emulsion of alkyl-alkoxy silanes, fluoride copolymers, glycol ethers, alcohols, essences, water. FOLLET-C is a protective treatment that can be used on floors in cotto, natural stone, conglomerates, reconstructed stone (unpolished), clinker, stoneware etc… FOLLET-C develops a deep hydrophobic barrier facilitating the expulsion of moisture and preventing the formation of oxidation (dark marks). Particularly suitable for treating outdoor surfaces. Shake well before use. Always use at temperatures above + 5°C. 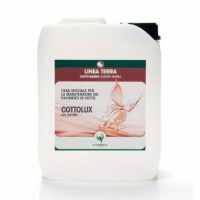 Ideal for the protection of cotto, natural stone, conglomerates, reconstructed stone (unpolished) etc… When the surface is clean and dry, apply 1-2 coats of FOLLET-C (at intervals of 1-2 hours between applications) with a fleece or a cotton cloth; on vertical surfaces it is recommended to use a brush for better penetration or a low pressure sprayer. 2 hours after the last coat, and only with little porous surfaces go over the surface with the single-brush floor cleaner fitted with a beige disk to even it out. When the 2 coats of FOLLET-C have been applied (indoors) finish the treatment with a top coat of Linfocot and Sintesi 3/P. For outdoor protection, on the other hand, 2 coats of Neocot can be applied. Protect from the water for at least 48 hours. A coat of FOLLET-C may be applied to wet surfaces to eliminate moisture or reduce the drying time. To give the surface a more decisive tone you can mix the product with OLIO DODICI (in different proportions). Always run some test applications before applying it to the definitive surfaces. • It can be used on different types of surfaces. • Protects against water and oil. • It gives a hint of colour and does not create a film on the surface. • In penetrates in depth. 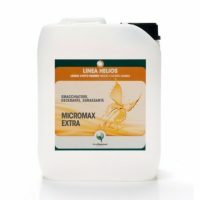 • It can be applied to a damp surface. • It is resistant to wear and repeated washing with detergent. 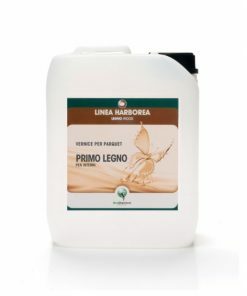 YIELD: Approximately 10/20 sqm/l per coat. STORAGE: Closed in the original packaging, in a cool place away from frost and UV rays, it retains its properties for at least two years. 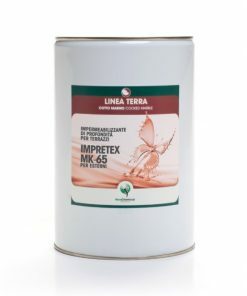 The product is not classified as hazardous pursuant to the provisions set forth in EC Regulation 1272/2008 (CLP) (and subsequent amendments and supplements).